Expats can access a wide variety of investments to build their portfolio both onshore and offshore. Expats can access a wide variety of investments to build their portfolio both onshore and offshore, and the flexibility and tax benefits that are available give you the best opportunity to build funds for the future. Investing in strong companies is a traditional strategy for conservative investors. As home to strong pharmaceutical (Novartis, Roche), engineering (ABB) and food and drink (Nestlé) multinationals plus two giants of international banking (Credit Suisse, UBS), Swiss stocks can offer steady growth and solid dividends. But you can invest in many markets around the world, giving the flexibility you need to reach your investment goals. Mutual funds offer low-cost access to actively managed funds that could be prohibitively expensive for solo investors. In many cases unless you were an ultra high net worth investor, you would not even have the minimum investment amounts required to qualify to invest in institutional funds, so mutual funds provide a viable alternative at much lower investment minimums. Equity: This is the most common type of mutual fund, and they are best suited to long-term investors. Equity funds are segregated in a variety of ways, including geographically or by sector, and of the four types of mutual fund, these offer the highest risk and potential rewards. Fixed income: These funds are less risky and offer steadier potential returns. Fixed income funds are typically invested in corporate bonds and government debt. 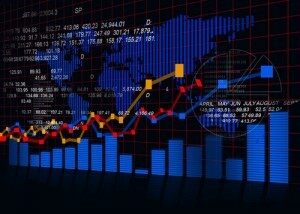 Returns can be affected by interest rates, global economic issues and currency changes. They are useful for hedging riskier portfolio elements. Balanced: Balanced funds provide a mix of higher risk equities and lower risk fixed income investments, which reduce risk and offer protection against economic conditions, suitable for starter investors with smaller sums. Your fund manager can adjust the ratio of stocks, bonds and currencies within the asset classes specified to maximise returns. An asset allocation fund is similar in its objective, but your fund manager is not restricted by asset class ratios in a balanced fund. Money market: Money market funds are more like savings accounts than investment vehicles, and offer stability and liquidity. They are limited by a 90-day investment term to protect against interest rate rises, money market funds are invested in government debt and securities and offer potentially better returns than savings accounts. ETFs behave similarly to stocks but function as funds. These are popular due to their low cost, possibility of dividends, tax breaks and ease of management. 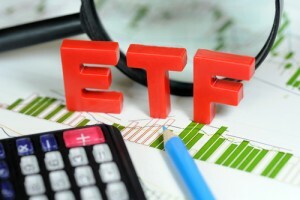 Since you can purchase an ETF in a single transaction, the associated fees tend be lower in comparison to mutual funds. Your ETF also offers the flexibility of being traded throughout market hours, enabling you to sell short if desired. A structured product combines a package of derivatives and is typically linked to an index or security, for example the Six Swiss Exchange, gold or government bonds. The specific structure of your product depends on your investment goals and risk appetite. Your wealth manager can advise on the best approach to suit your strategy. A study conducted by the Swiss Structured Products Association found that structured products under normal market conditions delivered a median return of between 5% and 15%.